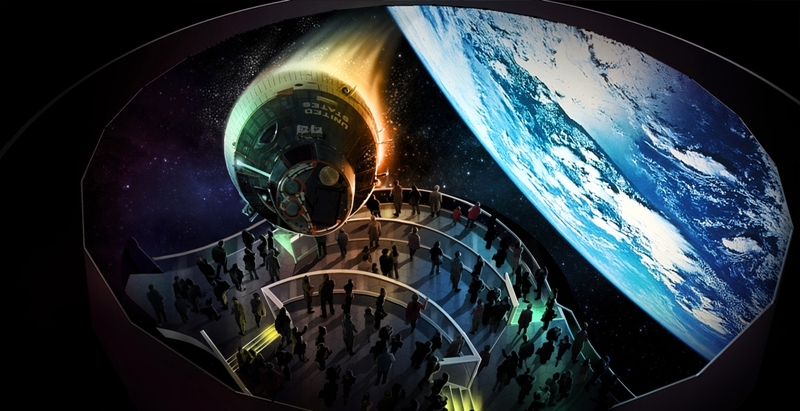 Kennedy Space Center Visitor Complex has broken ground on a new next-gen attraction designed to touch the hearts and minds of the next generation of space explorers. Heroes and Legends, featuring the U.S. Astronaut Hall of Fame, is scheduled to open in 2016 at the Visitor Complex. 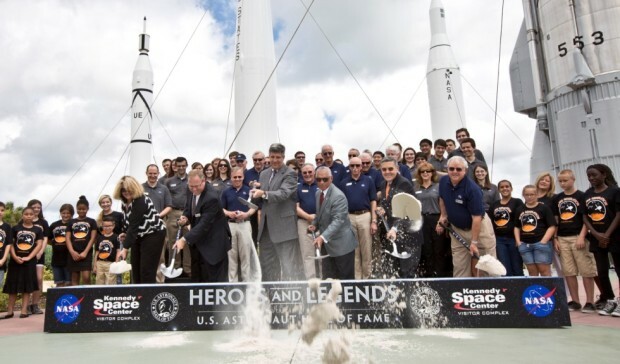 Held on the eve of this year’s U.S. Astronaut Hall of Fame Induction, the groundbreaking ceremony featured a large gathering of astronauts, including many hall of fame members. This year also marks the 25th anniversary of the hall of fame. While many members of the U.S. Astronaut Hall of Fame were there to represent NASA’s proud past, the present and future of the American space program also were represented by recipients of the Astronaut Scholarship from the Astronaut Scholarship Foundation as well as students from Apollo Elementary School in Titusville, Fla. Heroes and Legends will not only bring to life the enthralling stories of America’s pioneering astronauts, but also invite guests to experience the thrills and dangers of America’s earliest missions through high-tech elements and special effects, including simulated holograms and augmented reality. The highlight of Heroes and Legends is a 3D omnidirectional theater, designed to make guests feel as though they are floating in the vastness of space. Images will envelope them as legendary astronauts, including Alan Shepard, John Glenn, Jim Lovell and Neil Armstrong, invite them to join in their journeys into the vast unknown. 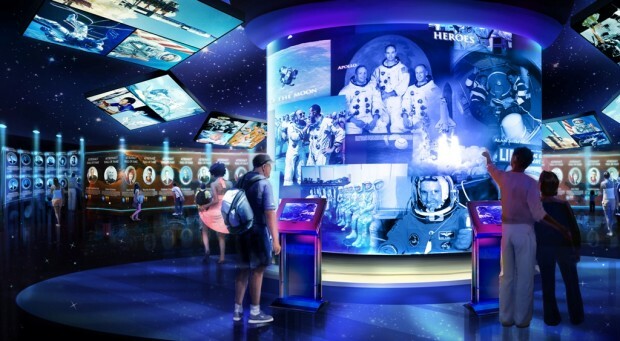 The new U.S. Astronaut Hall of Fame will serve as the culminating element of the attraction, allowing guests to interact virtually with the nearly 100 astronaut heroes inducted to date. “Heroes and Legends promises to speak to the hearts and minds of all generations, from those who bore witness to some of America’s first space launches, to those who dream of someday being among the first to set foot on Mars,” said Bob Cabana, director of John F. Kennedy Space Center and Hall of Fame astronaut. Located just inside the Ticket Plaza and adjacent to the Rocket Garden, Heroes and Legends will be the first stop for guests as they make their way into Kennedy Space Center Visitor Complex, setting the tone for their entire experience. During the ceremony, Therrin Protze, chief operating officer of Kennedy Space Center Visitor Complex, explained the significance of holding the groundbreaking on the 25th anniversary of the U.S. Astronaut Hall of Fame, with many hall of fame astronauts in attendance. Partners in the design and construction of Heroes and Legends also were present for the groundbreaking ceremony, including BRPH, Electrosonic, Falcon’s Treehouse, HW Davis, and The Nassal Company. For more information, visit KennedySpaceCenter.com.